A cataract is formed when the natural lens of the eye, responsible for focusing light and producing sharp images, becomes cloudy and hardens, resulting in a loss of visual function. The lens of the eye is clear at birth, but is one of the first parts of the body to show the effects of aging. 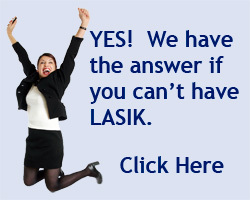 A cataract is painless and usually develops gradually over several months or years. Normally, the onset of a cataract in one or both eyes may cause decreased night vision, impaired depth perception, and increases color distortion. There is no single, valid, objective test that indicates the presence of an operable cataract. Ophthalmologists analyze patient symptoms, perform a regular eye exam and may test for glare disability and contrast sensitivity to make a diagnosis. The final decision to proceed with the surgery lies with the patient. The ophthalmologist may prescribe stronger glasses, medication or surgery depending on the symptoms, complications or age of the patient. Cataract surgery is most often performed under local anesthesia on an outpatient basis. The clouded lens is either removed intact through a 10-12 mm incision or is dissolved using a high frequency ultrasound and a much smaller incision, approximately 3 mm. An artificial lens is implanted in both cases. The surgery continues to improve with such recent developments as no-stitch surgery, topical anesthesia, surgical correction of astigmatism and new lens designs. It takes a few months for the eye to heal completely, but the patient is able to return to normal activity soon after surgery. 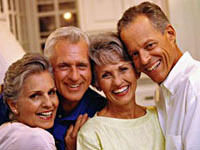 Cataract surgery has an overall success rate of 98 percent. Continuous innovations in cataract surgery allow cataract surgeons to treat greater numbers of patients while keeping costs down with no sacrifice in quality or patient care. Cataract surgery has provided improved quality of life for millions of Americans by increasing their independence through improved vision -- the ability to drive, work, watch TV, and walk safely.